As Reverend Edgett in DOWN AMONG THE SHELTERING PALMS (1953). 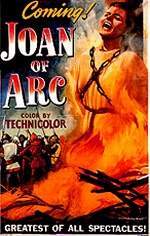 A poster from JOAN OF ARC with Ingrid Bergman in which Lockhart played Georges la Tremouille, one of Joan's persecutors. This film was nominated for seven Academy Awards in 1948. A poster from MIRACLE ON 34TH STREET (1947) with John Payne, Edmund Gwenn, Maureen O'Hara and Natalie Wood. Lockhart played Judge Henry Harper in this holiday classic, the man who must decide the fate of Kris Kringle, a man on trial for lunacy because he claimed to be Santa Claus. 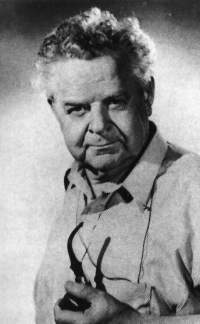 TVNow's monthly Gene Lockhart schedule - when his films will be on TV.